Packed to the brim with wholesome and delicious restaurants catering for every dietary requirement, the highly sought-after and charming neighbourhood of Hove has a lot to shout about when it comes to eating out. Read on for our best tips. It’s high-quality ingredients, cooked simply that make The Little Fish Market one of the most talked about restaurant’s in the neighbourhood. The restaurant is open for dinner only and serves a set menu of five fish courses, with dishes rotated every 4-6 weeks. This much-loved Italian joint specialises in wholesome and delicious comfort food. Dishes include; tagliatelle of wild rabbit, cavolo nero & prosciutto; risotto of salsify, wild mushroom, sage & hazelnut pesto; roast pollock, Jerusalem artichoke caponata and braised kale. For great value, don’t miss the weekday set lunch and early dinner options. With a strong emphasis on locally sourced, seasonal ingredients, The Gingerman scores highly with the neighbourhood crowd. Recommend booking ahead. This family-run Italian offers simple dining with friendly service, making it perfect for families and large groups. It serves up traditional classics, just like nonna used to make. With a fantastic selection of breakfast, brunch and lunch dishes, which are always locally sourced and made fresh to order, this charming Nordic-styled local is the perfect spot to start your day. 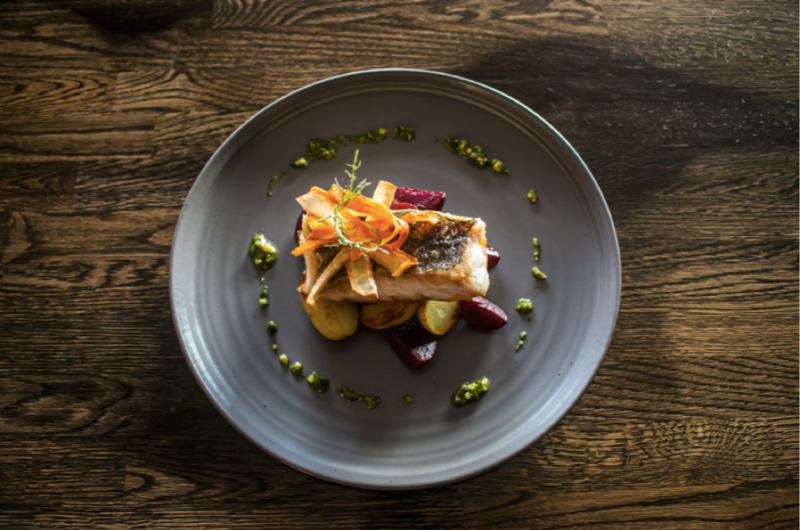 One of the most highly sought-after gastropubs in town, The Ginger Pig combines hearty cooking with a buzzing atmosphere and warm service. Expect to find a full range of British classics, such as whole roast partridge and venison pie. Get your grilled meat fix at Makara. This Turkish & Cypriot joint is famous for its homemade Turkish bread, mezze starters, warming casseroles and mixed platters. Not-to-be-missed if you’re in the area. This cosy local is situated close to the Brighton/Hove border. Featuring wood fires, a relaxed atmosphere, more-ish roasts and friendly service, it’s exactly the kind of pub you want for a winter’s day. Plus, the pub caters for coeliacs, vegetarians and vegans. Are you looking for a modern home in Brighton & Hove? Southern Home Ownership is proud to present two brand new developments in Brighton and Hove; Artisan and Preston Road. Both developments feature an impressive selection of one, two and three bedroom apartments, top spec appliances and state of the art facilities. For more information and to register your interest in these Shared Ownership developments, take a look at the Artisan and Preston Road websites. Why should I live in Horsham? What are the top 5 restaurants in Horsham?